A mishmash of travel musings, martial arts madness, and career insights. Among the many things I am, I would say that I’m a traveler. I’ve lived in 8 different countries so far, and I've visited plenty more. Six months after I was born, I left my home country of the Philippines and my family and I flew off to Nigeria. From then on, my childhood was one full of transition: aside from my passport country and Nigeria, I was able to live in Guam (USA), India, and South Africa before I was even 10 years old. I returned to the Philippines to complete my education, but even then I still longed for flight – I participated in an exchange program in France for a semester while I was completing my bachelor’s degree in the management of communications technology. After graduation, I took a marketing internship in the Czech Republic for half a year. 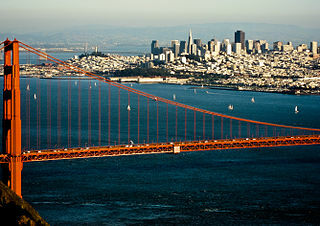 I spent two years in Singapore working for a great company, and then they moved me to San Francisco, where I live now! Though many aspects of my life have not been constant, several things have remained true: my devotion to my family, my passion for travel, and my love for the written and spoken word. I also enjoy martial arts (I am a ranked practitioner in a Filipino Martial Arts style called Eskabo Daan), philosophy, musicals, hiking, and geeky things.